Barbie is a very energetic girl and she loves to try new things and meet new people. 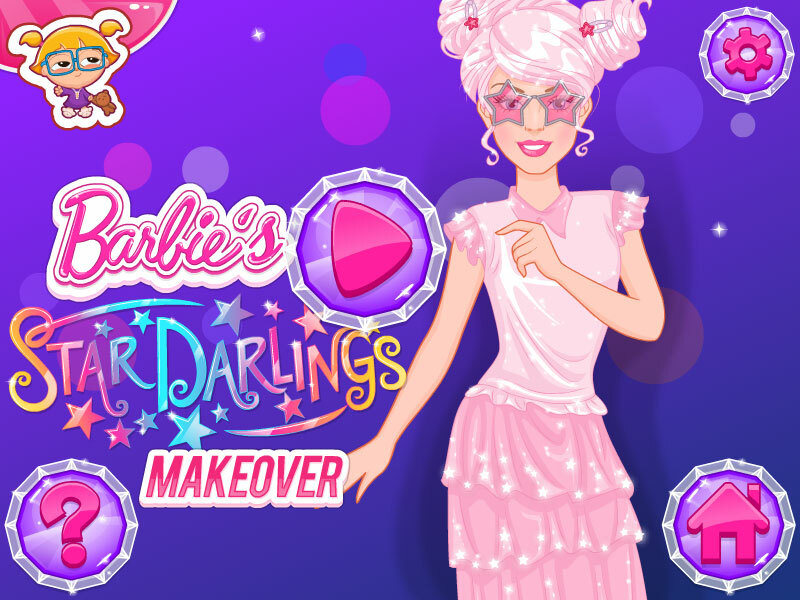 In this game of dressing up with Barbie, you will visit the Starling Academy, which is located in Starland. Talented students are learning in this wonderful world. These are Scarlett, Leon, Libby, Sage and Vega. These talented girls are committed to finding people who make wishes and fulfill them. This mission is very important for them. If she does not cope with it, then their planet Starland may disappear. In this Barbie Star Darlings Makeover game, you can, together with our famous blonde, try on the outfits of each of the students of the Starling Academy and take a selfie. If you like to play, try other Barbie dress up games. I wish you a lot of fun and great time on our site. Played: 2493. Added: 12-11-2018, 10:49.